At its major product launch event in Bengaluru, Xiaomi extended its smart home offerings beyond air purifiers, which also bagged an upgrade yesterday, and smart routers with the launch of the Mi Home Security Camera 360 degree. 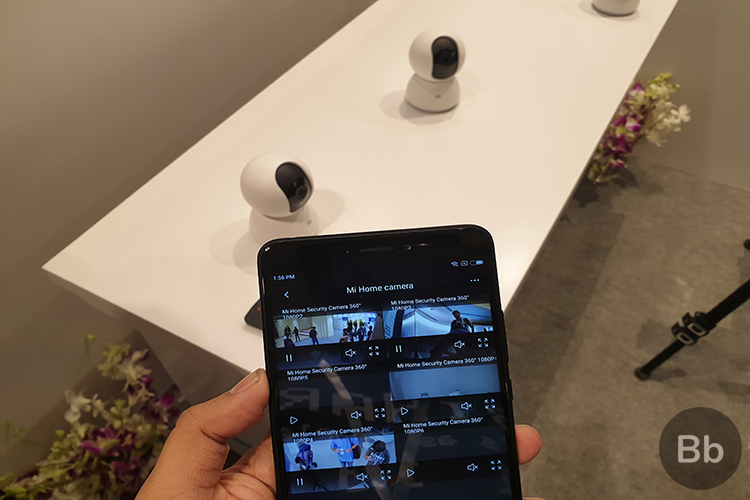 The smart security camera is one of the many products in Xiaomi’s “Mi Ecosystem,” where the devices are manufactured by partner companies (over 200 of them), such as Mijia in this case, but the device is sold under Xiaomi’s banner. 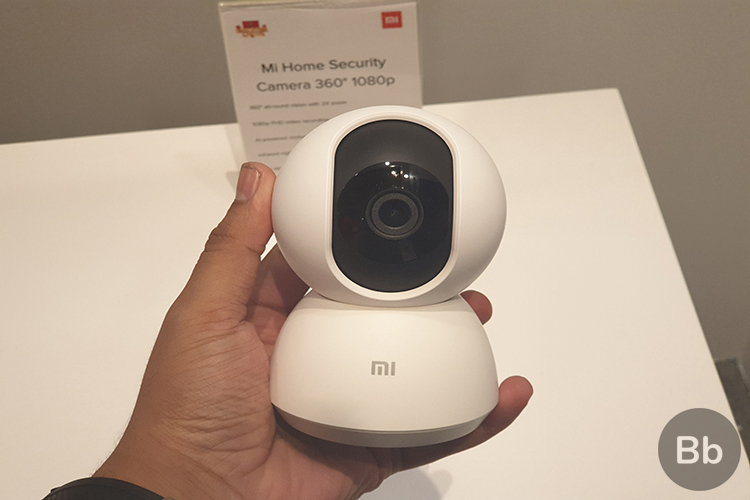 The Mi Home Security Camera 360 may look huge in close-up shots (like the one you can see below) but it’s actually a small thing – no bigger than a decent-sized coffee mug. The tiny, curved plastic body makes the camera look adorable and I, for one, would love to have in your house – keeping an eye on my things when I’m away. You can choose to place the Mi Home Security Camera on a table-top (next to your books in the living room) or hang it from the ceiling outside your main entrance. The domed top of the camera can rotate a full 360-degrees and has a vertical viewing angle of 96-degrees (the camera can be tilted 45 degrees up and down). 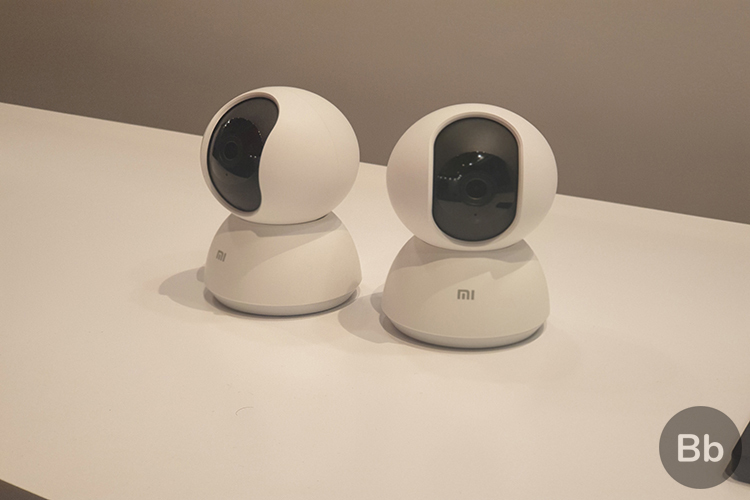 Xiaomi’s Mi Home Security Camera 360 looks and functions like a nifty home monitoring device, which can easily be controlled via the Mi Home app. 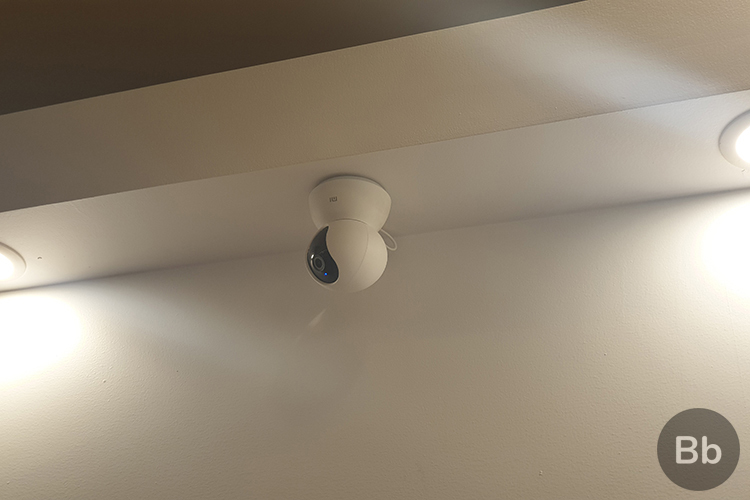 You can install several of these cameras, with a 2MP sensor, at your home or office to keep a close check on your belongings, loved ones and property. You can see a real-time feed of all the connected cameras in the app on your smartphone. You can then choose to play/ pause, mute/ unmute and view any of the video feeds. You can save recordings to a microSD card, either multiple minute-long recordings or an hour-long recording for the whole day. Xiaomi claims the 64GB SD card can hold up to 5 days of 1080p FHD video recordings – after which they’re overwritten. You can choose to save the recording to the SD card or your phone’s gallery via the Mi Home app. The Home Monitoring feature, as the name suggests, alerts you by sending a notification and a small 10-second clip whenever it detects motion in the camera’s view. You can then choose to talk back (more on this later) to the person- if they are still in frame – just by calling up the camera. 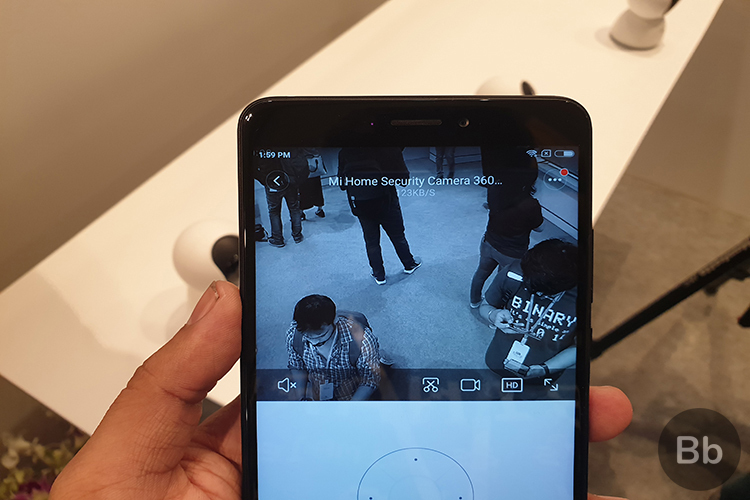 One of my favorite features of the Mi Home Security Camera 360, however, was the night vision mode that allows the camera to keep recording and monitoring your home even in low-light condition. This is thanks to 10 IR LEDs that allow the sensor to detect any motion up to 9 meters in front of the camera. Another impressive feature of this security camera is dubbed as Talkback, where you can simply place a call to the camera and talk to the person on the other end. Both of you will be able to speak and listen to each other. There’s a large speaker and a microphone integrated on the rear of the camera, and it can get pretty loud even in crowded spaces such as during yesterday’s demo. You can certainly use it to scare your cat or dog away! 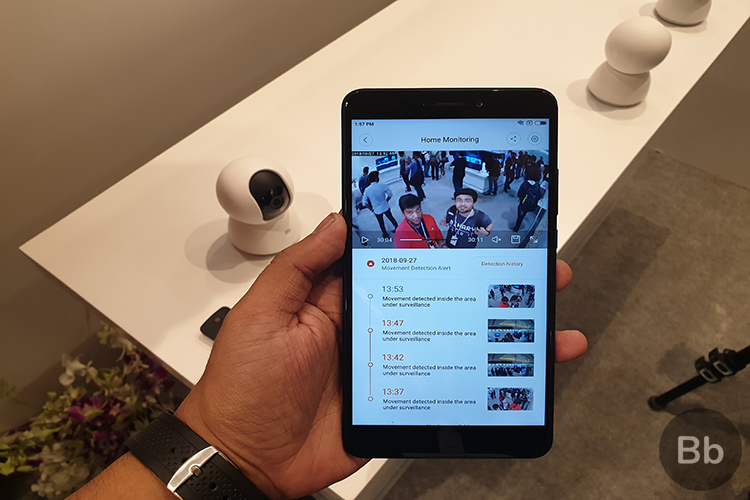 Though I spent only a brief time with the Mi Home Security Camera 360, it turned out to be my favorite new thing launched by Xiaomi yesterday. The ease-of-use and rich feature-set makes this a great pick at just Rs 2,699.